Just 10 minutes from downtown Denver, you will find one of the city's most attractive and vibrant neighborhoods. Charming bungalows, restored Victorians, elegant townhomes, and luxury high-rise condominium buildings have made it a thriving urban residential area. This little community offers a diverse mix of urban multi-family developments and fantastic homes on tree lined streets. 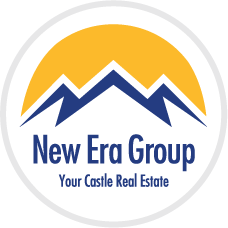 A highly desired area in the metro, families, professionals and retirees are quickly finding the appeal of this neighborhood. Located between First and Third Avenues from University Boulevard to Steele Street is Denver's most distinguished outdoor shopping district. There are more than 330 businesses, including florists, art galleries, salons, boutiques, bistros, and travel agents, all within walking distance of the many nearby residences. Here, too, is the nationally renowned Tattered Cover bookstore, one of the country's finest and most customer-friendly havens for book lovers. Open seven days a week, the store often hosts prominent author book signings and special events. Just south is the Cherry Creek Shopping Center, a two-level enclosed mall and one of the Rocky Mountain region's premier shopping destinations. The mall boasts four fabulous department stores - Neiman Marcus, Saks Fifth Avenue, Lord & Taylor, and Foley's - as well as more than 160 shops, an eight-screen movie theatre, and several outstanding restaurants. Whether you are looking for a gift for that someone special, treating yourself to a reward or simply just want to enjoy people and having fun, you will love this mall. 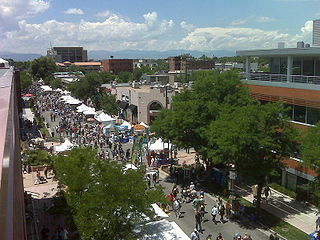 Warmer months herald outdoor events such as July's Cherry Creek Arts Festival, a juried art show that draws 300,000 visitors each year. In September, local restaurants open their kitchens for the Taste of Cherry Creek. In April, 14,000 pairs of tennies run or walk through the streets in the Cherry Creek Sneak. Art Walk invites visitors to the galleries every third Thursday of the month, year-round. At all times of the year, the 22-mile Cherry Creek path is a haven for biking, running, walking, and in-line skating.